What does brassy hair mean? Do you apply toner to wet or dry hair? How long should I leave toner on hair? Not everyone has their dream hair color right from the start. Some of us have to go through long procedures, a few bottles of hair dye and, of course, finding the right toner for brassy hair. This is especially important for those who use any sorts of “bleaching” products. Hair toner for brassiness is a product that helps you achieve that wonderful platinum, blonde color without making you seem yellow. The toners work in a way where they neutralize yellow tones with their purple ones. Plus, you can also get shiny and healthy looks because of the ingredients, they are usually made to feed the hair with nutrients so it doesn’t break. Brassy hair is pretty common and there is nothing to worry about if this happened to you. This is something that people who go through procedures that make their hair lighter encounter. When using chemicals that make your hair lighter, you are risking yellow, brassy hair. Brassy hair can be noticed easily, you end up looking like one of the characters in The Simpsons. Jokes aside, your hair will have more yellow and orange tones, instead of cold tones. If you are going blonde, especially platinum, it’s going to be hard to maintain that “cool look” without a professional, and they always use high-quality toners. If you’re doing your own hair color at home, you will need a toner for brassy hair, that’s obvious, but how will you use it? It isn’t that complicated and we will tell you a bit about the whole process and answer the questions that you find compelling. Toners will change your hair’s undertones, but won’t make it any lighter or darker. They are meant to be used on lighter colors because they won’t do a noticeable difference if you have brunette or black hair. They don’t need to work only by making your hair look more cool and ashy, they can also make your hair look a bit pink or purple. It all depends on the effect that you want to see. If you’re being a bit adventurous, you can also tone your hair in some unusual colors. You can use it all over the hair, or you can use it for specific parts. There are three types of products to use to tone: ammonia toners, dye, and purple shampoo. As for the question stated before, you don’t need to do it on wet hair. The only thing you do when your hair is wet when it comes to toning is the purple shampoo. If you use other products with wet hair, you are just diluting the ingredients. This really depends on the product and we would advise you to check the instructions that came along with it. Some toners need 15 minutes, some need 45. It all depends on what you get. The most important thing, not only when it comes to the time of toning, is reading the label of the product. Each product you’ll encounter in the list written down in the next paragraph has different ingredients and that means that each has a different effect on hair. Long story short, you can really ruin your hair if you use the internet information for each product you use. The strength of the treatment will tell how much you need to wait, how many days need to go by until you wash your hair with stronger shampoos and so on. Sometimes it can be difficult to find a good product because many of the ones that are on TV commercials don’t work that great and the companies mostly pay salons to say nice things about them. You need to look out for the chemicals, you need to see which ones have been approved by the healthcare system… You need to find those that won’t damage your hair much. This product is by the famous company Schwarzkopf and we are pretty sure that you have heard about these guys. Their products have been used by DIY enthusiasts and professionals. What makes their work, this toner, so special? It contains support polymers and you can mix their toners together to get a unique shade you are going for. Something many people like to do is mix the Blonde Brightening crème with this product. It is very cheap and the only thing people are concerned about is the amount of product you get, so those of you that have thicker hair will need more than one product. This product helps you get that wonderful, shiny hair with no harsh chemicals. It is vegan, PETA certified and cruelty-free which are important because it shows a lot about the company. This particular product will remove the yellow tones and improve your hair’s softness and shine. It’s important to know that this is one of the safest products out there, you can even use it on animals if you wish to! The effect is temporary and since it is water-based, it doesn’t do any damage. You can easily remove it from your hair with just five to eight washing sessions, depending on your hair type. A few drops go a long way because of the powerful formula, too! This is a cleansing treatment that works like a toner and will, therefore, be better for those who have sensitive, thin hair. This is an advanced formula that reverses the brassy hair effect and makes your blonde hair look more bright and elegant. It cleanses the hair too and boosts the shine. You can use it up to three times weekly and it works best when used with other John Frieda products, but it is optional. It is safe for all shades and the routine you should use with it should be: shampoo, conditioner, cleansing treatment. If you are looking for something that will truly feed your hair, this is the product you may want to focus on. The coconut oil in this Pravana product helps you maintain that shiny, silky look. It is, of course, a masque used to get rid of brassy hair just by applying the purple tones in it. Less than five minutes of treatment a week is needed to maintain this optical illusion, but people with really textured hair use it for a longer period of time. Many people swear by this product because you just apply it after your regular shampoo, no professional treatments needed, no extra knowledge needed. This product is one of the more professional products you will encounter on the list. It fights the yellow tones with intense purple pigments and it can be used on many different hair types. It is stronger than regular blonding shampoo products, the company claims, and it will make your hair look almost silver! If it doesn’t fit the needs, the company offers to give you your money back and they will cover even the shipping costs! It’s really important to keep these intense treatments safe and that’s why this product does not contain any Sulfur. It is paraben-free too so you will get only the good stuff such as Vitamin B5 derivatives that make your hair soft and silky. If you use the shampoo a lot, it will even fight against ultraviolet radiation that can alter your hair’s color and shade. Only one to five minutes of waiting remove the effect. This formula is enriched with proteins that will help your hair stay healthy no matter how much chemicals you use in your salon treatments. Besides toning your brassy yellow hair, it will also renew and refresh the highlights that maybe don’t look as good as they did. You can also get it in brunette and red formulas, which is something not many companies offer and therefore it is very interesting. This product is so safe that men use it for their beards! Can you imagine? Leaving the product on for 3-5 minutes will do the job; no residue of yellow, dirty-looking hair will be left. This product cleanses your hair and removes those brassy tones. It contains organic proteins which will reverse the damage done to the hair while bleaching and using harsh chemicals. Therefore you can also use it as a thermal protector! If you have highlighted hair, blonde hair or grey hair, this product works for you ideally. Because of the formula, your hair will also remain shiny and healthy and the vanilla fragrance will surely help you maintain a long friendship with the company! Apply the product to wet hair and leave it in for up to 5 minutes to get the best results. You won’t regret getting it, as much as you can see in the reviews. Wella is one of those companies you hear a lot about since they are pretty popular and have been around for a long time. They develop really good formulas for their products to keep their reputation up, and one of their most popular pieces of work is this toner right here. It helps your hair stay vibrant and it helps the color stay on for much longer. Your yellowish hair will turn to ash blonde which looks much more elegant and will look good even under warm lighting. Wella’s toner will cover gray as well, manage your highlights and help you achieve a look that looks like it came straight from the hair salon! People leave it on for 10-15 minutes, but if you have thin hair, a shorter period of time will do. It can be tough to find a good toner for brassy hair and we can’t let you know what is the best toner for brassy hair. You will have to go through this list in order to find the one that fits you the most! We advise you to check the reviews and find people who have hair which is similar to yours. That’s the best way to find products that will work for you. 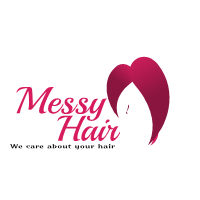 You have to pay attention to the instructions that come along with the product because not using it correctly mostly ends up in hair damage and results you don’t want to see. If you want to save some money, but aren’t feeling like a DIY professional, it would be a good choice to buy the product on your own and then get a salon worker to do your treatment. They should make the price lower and you will save cash while still getting the wanted result!